MY 1ST MEDIA TASTING EVENT: CRAFT BEERS AND UNIQUE TAPAS @ THE COPPER DOOR - SANTA ANA - EAT WITH HOP! http://thecopperdoorbar.com/food-menu/ <<-Click for the awesome menu! http://thecopperdoorbar.com/ <<- Official website. Check it out for news, events, and more! AND GOOD FOOD, THE INVISIBLE BOUNDARY DISAPPEARS. IT'S A GREAT WAY TO MEET OTHERS IN MY OPINION (BUT OF COURSE ALCOHOL IS UNNECESSARY FOR THAT TOO)! HIT UP THE POOL TABLE WITH FRIENDS FOR JUST $8 AN HOUR! THE STAGE THAT'S GRACED BY MANY VARIOUS TYPES OF TALENTS SUCH AS BURLESQUE DANCERS, ARTISTS, MUSICIANS, ETC.! I'M SO HONORED TO HAVE BEEN PERSONALLY INVITED TO THIS EVENT! WHOA, IMAGINE 278 PEOPLE IN HERE GETTIN' DOWN AND PARTYING WITH BEER, TAPAS, AND LIVE MUSIC! THE AWESOME AND VERY KNOWLEDGEABLE BARTENDER MARK ^__^ BETTER ASK HIM FOR WHICH BEER TO GO WITH YOUR FOOD THAT WOULD COMPLIMENT THE TASTE! THE TALENTED KITCHEN MAGICIAN CHEF BEN INTRODUCED HIMSELF TO EVERYONE AND EXPLAINED HIS VISION FOR THE COPPER DOOR'S MENU. ALL INGREDIENTS ARE LITERALLY FRESH AND MENU ITEMS ARE PREPARED EVERY SINGLE DAY. I NEVER REALIZED HOW GOOD BEER + CHEESE ARE TOGETHER...WOW! HERE, KEVIN IS POSING HIS BEST "DIP THE MEAT IN THE FONDUE" POSE FOR THE CAMERA. LOOK AT THEM DELICIOUS OLIVES. OMG!! THIS WAS ONE OF MY FAVORITES. I DIDN'T EVEN KNOW I LIKED OLIVES SO MUCH UNTIL I TASTED THIS OLIVE TAPENADE! FRAMBOIS AND PORT WINE SWISS FONDUE. LOOKS BLECH BUT IT WAS DELICIOUS O____O ... I WANT MORE! I WOULD LIKE TO DIRECT YOUR ATTENTION TO THE BASKET MADE OUT OF BACON. THAT ALREADY SOUNDS SO GOOD RIGHT? AND IT HAS LETTUCE AND TOMATOES INSIDE! NOW THAT'S WHAT I CALL A SALAD...! KEV AND I HAD TO TAKE A PHOTO WITH THE OWNER OF THE COPPER DOOR. HE IS DEFINITELY REVAMPING THE COPPER DOOR AND IS DEFINITELY GOING IN THE RIGHT DIRECTION BY ADDING A FOOD MENU! TOOK A PHOTO WITH THE AMAZING CHEF BEN! Are you free next Thursday? I just got invited to my first media tasting event ever. Dreams are coming true....! At the media tasting event, I felt like a noob. Well, literally I was a noob but I really felt like it. Everyone else I met apparently has gone to media tasting events before. I was the only one that lost my media tasting virginity at that event and it was indeed a great experience to learn from. I learned to definitely pay a lot of attention. It would have helped if I had brought a pen and notepad to jot down info and notes. Luckily, I use the Samsung Galaxy Note 3 and that actually helped! Because there is a note app and and the S Pen, it was extremely useful when I actually started to write notes. Next time, I'll definitely be more prepared. The most exciting part of the event was of course, tasting the food for free. And learning so much about it! It was great to be able to learn what inspired the chef and why he created certain menu items. All of the behind-the-scenes that goes into menu planning and the cooking was so exciting to learn! For an example, did you know that the chef only uses fresh ingredients that he literally buys every morning? Just the effort to make fresh products wow-d me. Honestly, this event just made all my dreams come true. 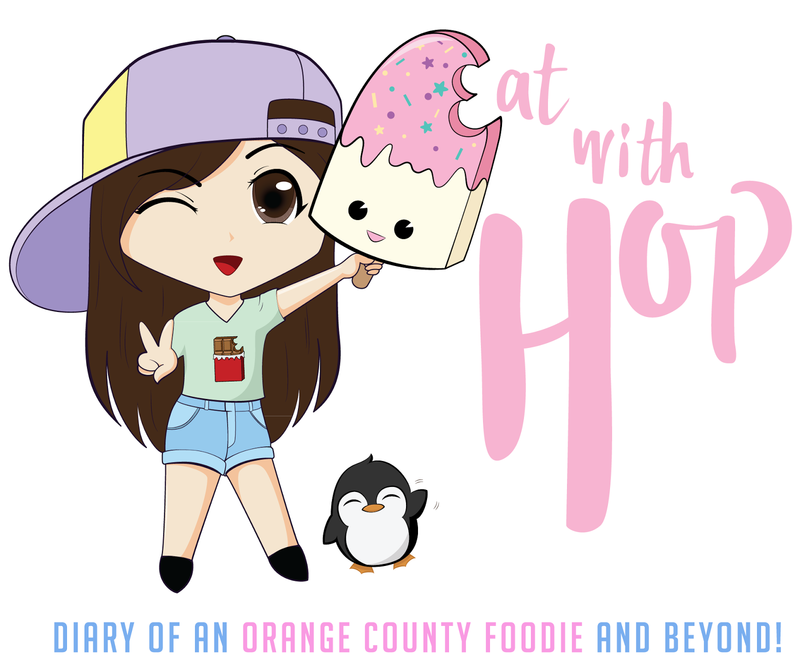 When I started this blog, my goal was to somehow be able to eat and try food from culinary establishments and I just felt so mesmerized at this event because I felt that my dreams were finally realized with my first media tasting event. I have never heard of The Copper Door before actually since I rarely visit Downtown Santa Ana. But I gotta tell you, ever since I started frequenting the area (because of a mini photoshoot), I am quite impressed. Downtown Santa Ana needs to be more hyped up in my opinion! The Artist Village is a must visit and that's where The Copper Door definitely fits in. The Copper Door provides an outlet for performers to showcase their talent as well as up-and-coming musicians to show off their melodies. If you're ever bored, go to DTSA and visit The Copper Door because they always have events going on whether it be about music, art competitions, dance, whatever...JUST GO! Some of the events are free too! And who doesn't love free... Even better, they now have food added to their menu in addition to the already great selection of beers on tap. P.S. This place reminded me of bars in Hongdae (Korea) which is the spot for hipsters and artists, and young people to hang out. The bars in Hongdae would feature a lot of indie music performers and also artists so that's the connection I made with The Copper Door: lesser known (not mainstream) but very talented people that may someday be huuuge grace the stage here. So basically this underground craft beer & concert venue is a great outlet for underground talent (see what I did there?? ^__^). So since I rarely drink, this post is for all y'all gals (or guys too) that also don't drink often but wouldn't mind a sip or two and are into more fruity drinks. My favorites were the B. Nektar and the Frambois. B. Nektar was light tasting. It didn't taste too carbonated or heavy at all and had a light hint of honey flavor, which I love! I didn't even taste much alcohol either which was a pleasant surprise! The Frambois is a fruity beer that tasted like raspberries. In my opinion, it had more of an alcohol aftertaste than the B. Nektar but it was still surprisingly good. It was like drinking a carbonated fruit beverage with a weeee bit of an alcohol taste to it. If I ever decided to drink beer, these two would be my top choices because I didn't feel like I was actually drinking beer! Woo Hoo! The food served here is meant to enrich a casual / social dining experience. It is definitely not the place to go for fine dining at all, and is definitely not The Copper Door's goal here. Their menu offers unique tapas that is great as finger food and chit-chatting at the same time. Also, each individual item on their menu is to be paired with a certain beer. So not quite sure what to drink but know exactly what to eat? Go ahead and ask the bartender because she/he will give great suggestions on beer/food pairings. If my tongue and stomach had it's own heart for just the love of food, THIS IS #1.
reaaaaaaally creative. PROPS TO THE CHEF! who knew I would be ever get to eat alligator meat in my life? The sausage itself was yummy and had kicks of spice. YUM! Totes would get it again because come on... IT'S ALLIGATOR! I didn't realize my love for olives until I tried this. The olives are chopped in teeny tiny pieces and you eat it on pieces of bread (same concept as bruschetta). Filet Mignon on bread again! This one had goat cheese on it. I'm personally not a fan of goat cheese but honestly, it wasn't too overbearing. You do taste it a bit at first but then it's blends well with the filet mignon. It was served on a cracker, similar to those crackers at Costco! You know... the ones that they're always giving out samples of with smoked salmon on top? This appetizer is basically a MINI smoked salmon bagel / Lox n Bagel - esque tasting appetizer which I approve! Great for hanging out late at night! They open till 2am! Has 28 rotating beers on tap. Great for all y'all alcoholics! Has 3 billiard tables to play! Always has some pretty cool events! They've got djs, musical acts, artists, burlesque, beer tastings, etc.! Good Happy Hour prices too! Offers unique food such as stuffed italian pizza burger. A pizza in burger form sounds interesting!! Very friendly service so that's a plus!